ST. CLAIR GAS COMPRESSOR STATION - Motor City Electric Co.
Motor City Electric Co. was awarded the contract for upgrades to the Consumers Energy St. Clair Gas Compressor Station located in Ira Township, Michigan. General contractor Barton Malow selected MCE to provide electrical contracting services on the $165 million expansion project, which broke ground in May 2015 and was completed in late 2017. 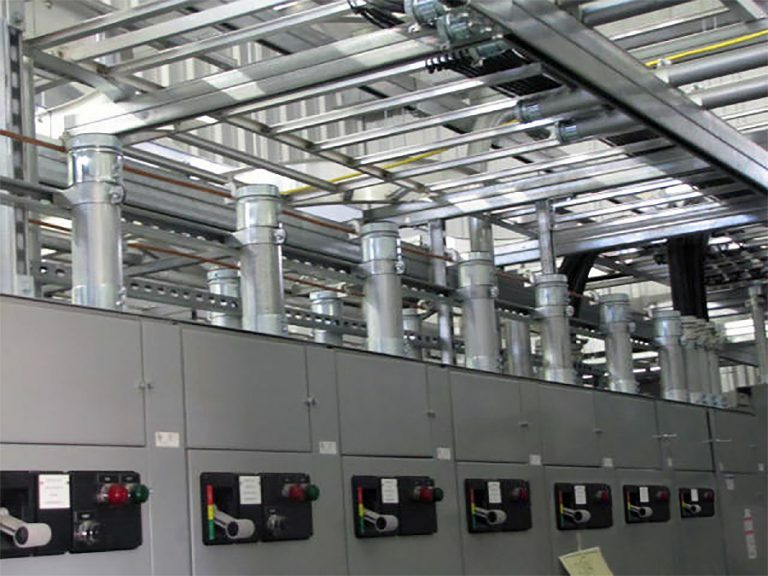 The scope of this project entailed construction of a third plant onsite including installation of four new reciprocating engines/compressors to complement the existing Plant 1 and Plant 2. All three plants are to be fully integrated allowing complete operational flexibility from any of the plants to any of the six St. Clair injection fields or gas pipelines. 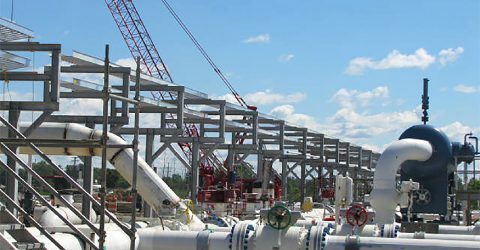 At this compressor station, natural gas is stored underground and transported through pipelines after pressurization. The compressor station also filters liquids and dirt from the gas and dries it before it is sent through the pipeline. The four new massive compressor units being installed are rated at nearly 5,000 horsepower each and will move gas through the 27,000 mile pipeline transmission and distribution system. A new dehydration unit to help remove vapors and liquids from the gas is also being installed as is an air purification system for smoke emissions. New state-of-the-art digital controls will allow the company to manage the operation of the Ira Township facility more effectively. Additionally, the updated controls and valves will allow plant operation from the site or remotely from Consumers Energy’s central control facility. The upgrade provides Consumers Energy with more gas storage, a minimum of 32,000 HP, and reduced emissions and environmental impact.